The U.S. Attorney’s Office has started to look into the billing practices of outpatient rehab facilities. Following several probes from the Office of Personnel Management and the Office of Inspector General (OIG), federal prosecutors have initiated False Claims Act investigations against behavioral health facilities in numerous states. The core accusation in these cases is that rehab facilities appear to utilize a hospital modifier when submitting their bills for toxicology and other services when, according to the government, these substance abuse facilities do not qualify as a hospital. Oberheiden, P.C. is a federal False Claims Act defense law firm with a proven track record of defending health care clients against allegations of wrongful billing and fraud. Unlike most other firms, our practice is nearly 100% limited to federal health care fraud defense work. Protect your company by benefitting from our experience. Dismissed. We Have Dismissed FCA Cases in Federal Courts Nationwide. Stopped. We Have Successfully Stopped FCA Investigations Through Negotiations. Resolved. We Avoided Criminal Liability in Every Single FCA Case. Our attorneys include presidentially appointed and U.S. Senate confirmed former high-level Justice Department officials, former federal health care fraud chief prosecutors, and attorneys who dedicate their entire career to defending health care providers and business owners. If your business is under audit or concerned about how to prevent a billing fraud investigation, you should call one of our senior attorneys today for a free and confidential assessment. 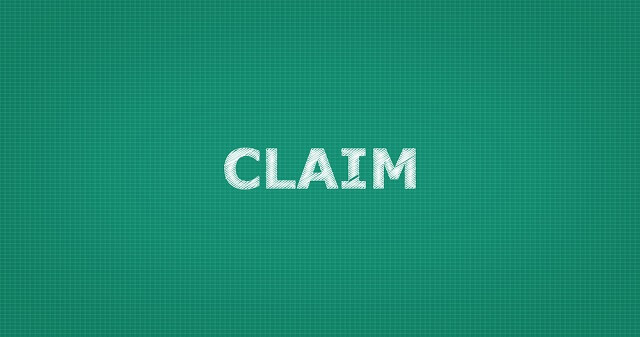 What Is the False Claims Act? The False Claims Act (FCA) is a federal statute that makes the actual or attempted submission of a fraudulent or false claim unlawful. While the FCA does contain a federal criminal component, the majority of cases under the FCA are civil in nature. What Liability Can Arise Under the False Claims Act? To deter, the FCA imposes severe financial sanctions on health care providers and health care business owners found liable under the statute. Among other penalties, the FCA allows the U.S. government to demand $ 11,000 per each fraudulent claim in addition to attorney fees, punitive damages, and other assessments. Who Are the Targets of FCA Rehab Cases? In pending outpatient rehab FCA cases, the government investigates both, the rehab facilities as well as, in case of outsourced billing services, the billing company for joint or separate responsibility. What Is Allegedly Wrong on the UB04? The government claims that the CMS Code Structure does not allow section 4 (“Type of Bill”) on Form UB04 to be filled out with modifier 0-1 (hospital) as drug rehab facilities do not appear to meet the definition of a hospital. If your billing reflects a TOB of 0-1-3-2, for example, your company may be subject to an investigation. How Would a Bankruptcy Affect Liability? Per U.S. Attorney’s Office’s policy, a bankruptcy of a targeted company does not affect the liability calculations—but it may impact the enforceability of the monies owed. Can the Owners of Rehab Centers Be Personally Liable? Personal liability of individuals owning or organized as a corporation is not the preferred approach by federal prosecutors. However, if a payment demand is made and the corporate entities are financially unable to cover the liabilities, then the government may consider holding the individuals personally responsible, in particular if the government has reason to believe that the inability to pay or threatened bankruptcy of the company is a mere attempt to avoid liability altogether. What Constitutes the Alleged Damage? The government takes the position that the difference between what was billed incorrectly, and the appropriate reimbursement constitutes the damage. Why Is the Federal Government Involved? The FCA is a federal statute (many states have enacted similar state FCA statutes). In order for the U.S. Attorney’s Office to exercise jurisdiction, the alleged submission of a false claim must have caused damages to a federal health care program. In the FCA cases involving rehab centers, the government takes the position that claims for federal employees or their relatives were submitted under GEHA, U.S. Postal, Department of Labor, Tricare and other federally funded policies. Why Is the Hospital Code Arguably Wrong? The government takes the position that outpatient rehab facilities do not qualify as hospitals and can therefore not bill service items under the modifier specific to hospitals. Industry Standard: While the defense of “industry standard” is not per se a recognized legal defense, it adds value when negotiating an outcome. The fact, for example, that most people do not strictly follow a stop sign order or commit other traffic law infractions does not make these deviations from the requirements necessarily a defense. In order to establish the industry standard, a target would need to introduce a report from a certified coder or law firm that can competently represent what the industry standard is. Written Agreement: The government appears to show interest in considering written services agreements between a rehab facility and an outsourced billing company exists that would contractually regulate the responsibilities and liabilities in case of an audit or investigation. Such written agreement would address indemnification of wrongful conduct as well as legal compliance expectations. How Do You Know You Are Under Investigation? The government pursues False Claims Act investigations typically through either an OIG subpoena or a so-called Civil Investigative Demand (CID). Both types of subpoenas authorize the U.S. government to request a variety of information from targeted entities or individuals including but not limited to patient charts, billing records, financial and account information, corporate documents, marketing materials, and email and communication records. How Can Oberheiden, P.C. Protect Your Business? Oberheiden, P.C. is a False Claims Act defense law firm with a proven track record of defending business owners against allegations of fraud and misconduct. Please contact attorney Dr. Nick Oberheiden and his team today for a free and confidential case assessment. We are just one call away. Take ten minutes of your time and experience what it means to be protected by Oberheiden, P.C. Contact us today to speak to Dr. Nick Oberheiden and his team.